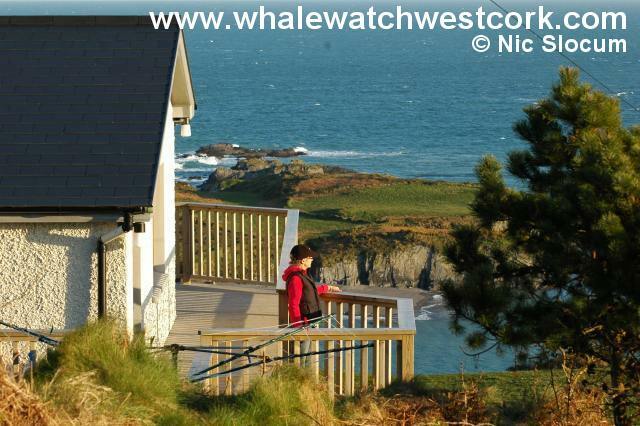 Whale Watch West Cork is acutely aware of the value of whale and dolphin watching boat tours as a platform for both education and research. 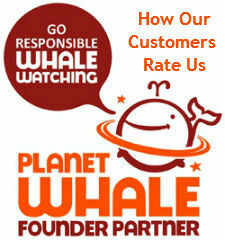 We use every opportunity to disseminate the wider marine conservation message to all our customers and we gather data that will help us to continually measure the environmental sustainability of whale and dolphin watching from boats off the south coast of Ireland. During all our tours we gather information that will specifically help us determine what impact whale watching from boats has on the animals we view. We compare behaviour patterns with both engines on and engines off. This behavioural analysis is then compared with animals viewed from the land without the presence of the boat/s. Some of the parameters we examine include surfacing frequency, surfacing behaviour, spatial movements in relation to the craft and time taken during the surfacing sequence. During 2006 and 2007 Whale Watch West Cork have evaluated the suitability of photo identification in establishing spatial distribution of short beaked common dolphins along the south coast of Ireland. We will continue this for a third year during 2008. We supply photographs of bottlenose dolphins to The Shannon Dolphin and Wildlife Foundation as part of a proposed European Tursiops (bottlenose dolphin) distribution study. In addition to the specific species research carried out during our tours we record routine water quality measurements, which include temperature, 02 concentrations, salinity and pH in order to obtain a seasonal profile of changing conditions and quality of our coastal waters. As part of our education and research programme and in response to many enquiries, Whale Watch West Cork has created a number of research placements for visiting students wishing to gain experience of fieldwork with cetaceans as part of their degree course or final year projects. These placements require part self-funding. Students will be involved in our data gathering exercises that take place during our whale and dolphin watching tours and are encouraged to interact with customers and share observations and experiences with them. All our whale and dolphin watching tours are oriented towards delivering an interactive and informative experience to our customers but also to gathering important information in support of longer-term conservation efforts. We collect a range of data on every tour, which contributes towards the assessment of impacts on these animals while they are in Irish waters, such as boat traffic, unsustainable fishing practices and pollution. All sightings data are collated and submitted for inclusion on various sightings databases. 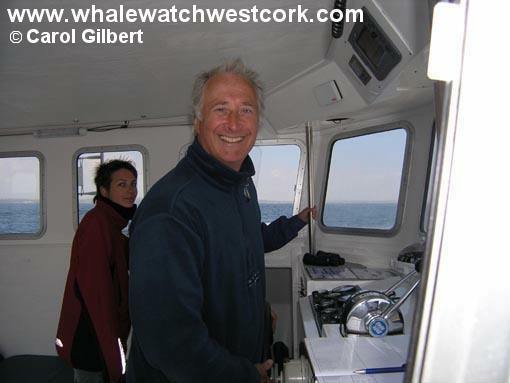 For further information on our Student Research Placement Programme please contact Whale Watch West Cork directly. The Blue Whale is the largest animal ever to have lived on the earth. A fully grown female Blue Whale may reach lengths of over 32 metres with a weight of nearly 200 tons. The Fin Whale which we see regularly in Irish waters is the second largest animal to have lived on the earth and may reach lengths of 22 metres and weigh over 65 tons.